The February 12 circular required lenders to put in place Board-approved policies for resolution including the timelines for this. The circular mandated banks to disclose defaults even if interest repayment is overdue by one day. 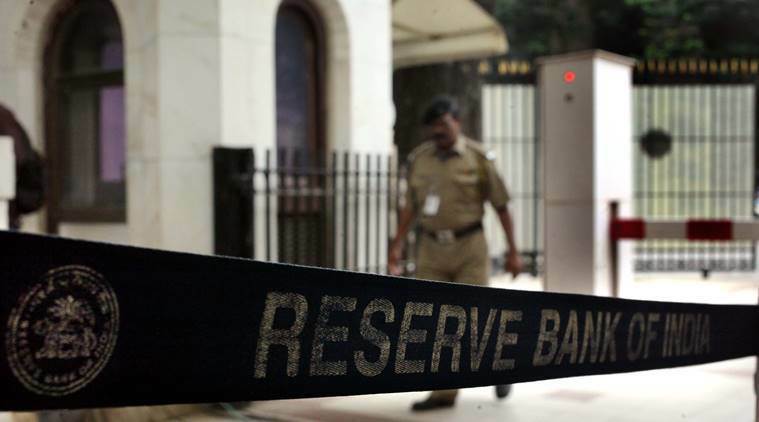 The Supreme Court Tuesday ruled that the Reserve Bank of India’s February 12, 2018 circular by which the central bank promulgated a revised framework for resolution of stressed assets was ultra vires of Section 35AA of the Banking Regulation Act, 1949. A bench of Justices R F Nariman and Vineet Saran said that as a result “all actions taken under the said circular, including actions by which the Insolvency Code has been triggered must fall along with the said circular”. The bench, which examined the circular in the light of banking laws, agreed with the contention that under Section 35AA which was introduced by way of an amendment with effect from May 4, 2017, the RBI could direct initiation of insolvency under the Insolvency and Bankruptcy Code, 2016 only with the authorisation of the Central government and also only in the “specific cases of resolution of non-performing assets” and not generally across the board. “…Banking Regulation Act specifies that the Central Government is either to exercise powers along with the RBI or by itself. The role assigned, therefore, by Section 35AA, when it comes to initiating the insolvency resolution process under the Insolvency Code, is thus, important. Without authorisation of the Central Government, obviously, no such directions can be issued”, it said. The court was dealing with a bunch of petitions challenging the Constitutional validity of Sections 35AA and 35AB of the Banking Regulation Act, 1949 introduced by the said amendment. The bench upheld their Constitutional validity. The February 12 circular required lenders to put in place Board-approved policies for resolution including the timelines for this. It directed banks to resolve debts over Rs 2000 crore on or after March 1, 2018, within 180 days, failing which resolution proceedings should be initiated. Questioning the circular, Senior Advocate Abhishek Manu Singhvi contended that the RBI issued it in complete disregard of the recommendations of some Parliamentary Committee Reports. He said that to apply a 180-day limit to all sectors of the economy without going into the special problems faced by each sector would treat unequals equally and would be arbitrary and discriminatory, and, therefore, violative of Article 14 of the Constitution of India. Senior Advocate Rakesh Dwivedi, appearing for RBI, drew the court’s attention to various provisions of the RBI Act and Banking Regulation Act and contended that the regulatory regime laid down in these Acts must be construed broadly, being in public interest, in the interest of banking policy, and above all, in the interest of depositors. He opposed the argument that the circular was manifestly arbitrary. Dwivedi said that, on the contrary, it was in public interest and in the interest of the national economy to see that evergreening of debts does not carry on indefinitely. Therefore, these huge amounts that are due and owing should come back into the economy for further productive use, he said adding either they can so come back within the six months’ grace period granted by the circular or through the route of the Insolvency Code.